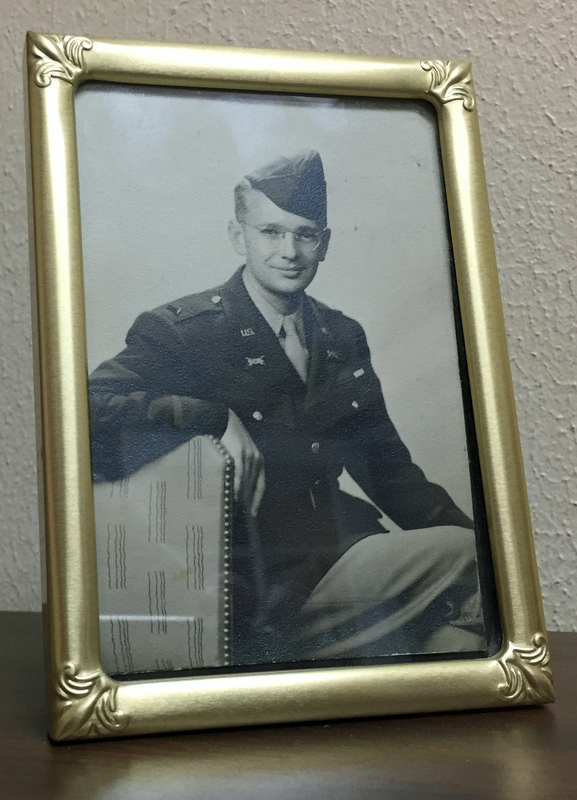 When the U.S. Navy entered the war, it had some parity with the Japanese Navy. 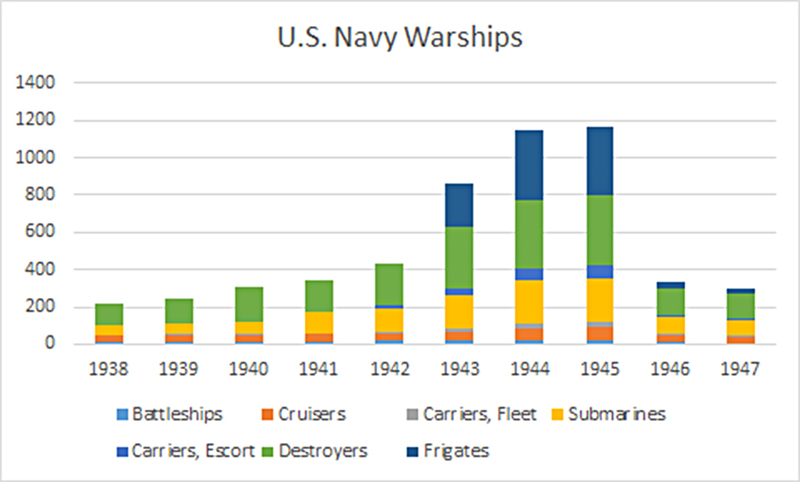 After Pearl Harbor it had fewer destroyers, and the Japanese had more fleet carriers as well. 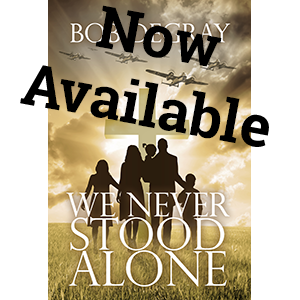 But the U.S. had more submarines, and they were prepared to fight the right war (against shipping rather than warships). The U.S. also had more destroyers, though many of these were needed in the Atlantic to protect shipping. Then what happened? Herman Wouk, in The Winds of War contends that it was the U.S. industrial capacity that made the difference in World War 2. 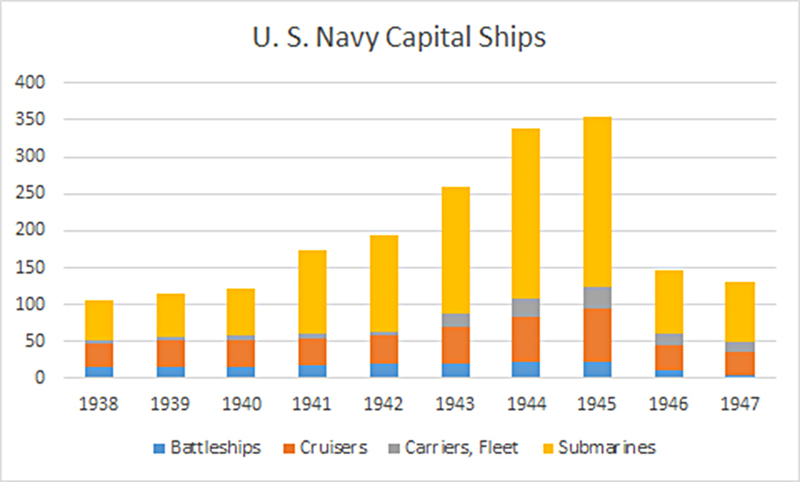 The following graphs show the amazing U.S. growth in capital ships, warships and overall fleet. I’m defining “capital ships” as those which made a significant impact on the course of the war. I’m not sure submarines are usually defined as capital ships, but in this war they should have been. 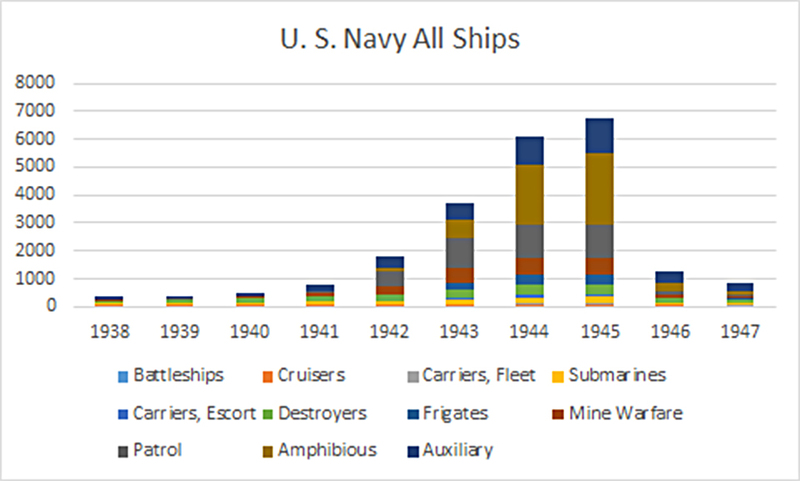 Here’s the same chart with the addition of other warships: Destroyers, Destroyer Escorts (frigates) and Jeep Carriers. And here’s the chart with all the other little ships. The U.S. produced an incredible number of amphibious ships during the war, mostly landing craft. The U.S., with 41 percent of the world’s industrial capacity (source) could achieve this massive build-up of ships while producing planes, tanks and vehicles for itself, Britain and the U.S.S.R., and sustaining a vibrant economy. In contrast, the Japanese Navy did little better than break even, and by the end of the war was mostly destroyed. The Japanese had 3.5 percent of the world’s industrial capacity.